Click here to download the meeting room application. 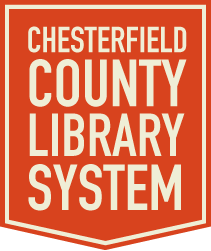 The Chesterfield County Library System welcomes public use of meeting rooms by community groups and organizations whose aims are educational, civic, charitable, or cultural. Library-related programs have priority over other meetings held in the Library facilities. The meeting room may be used by Library staff for sponsored programs and activities; by Friends of the Library; by civic groups and organizations; and by educational and cultural groups. A fee of $25.00 will be required for use of meeting rooms outside of regular library hours. See "Fees" section for additional information. Meeting rooms are intended for use by nonprofit, service, and community groups and organizations. All meetings and programs will be open to the public. Reservations are public information and meetings may be publics posted at the Library. Activities should not infringe upon patron use and staff operations within the Library. Meeting attendees must conform to the Library's Code of Conduct. The Library reserves the right to have a representative attend any meeting held in its facilities to ensure no unlawful activities or activities contrary to this policy are occurring. Compliance with all applicate state and local law must be met including fire codes, occupancy limitations, and noise ordinances. The applicable and sponsoring group/organization are responsible for safety and order. The individual signing the application form must be present at the meeting unless prior arrangements have been approved. The group members will not be allowed into the meeting room until the applicant is present. The users of the meeting rooms are responsible for their meeting materials including kitchen supplies. Meeting room users are responsible for arranging tables and chairs for their particular meeting. Light refreshments may be served in the meeting rooms. This may include coffee, tea, punch, cold drinks and finger foods such as sandwiches, cookies, and nuts. Meeting room users must take with them everything they bring to the meeting including food, supplies, materials, etc. The Library is not responsible for items left in its facilities. Storage space is not available. Meeting rooms must be left in a clean and orderly condition. Failure to do so may result in denial of future requests. Fund raisers to benefit the Library, sponsored by the Friends of the Library, or other Library-related groups. The sale of books, cassettes, and other items by authors or artists as part of a Library program. Political rallies or campaigns for specific candidates or specific partisan political issues. Showers, wedding receptions, birthday parties, sorority and fraternity parties, and similar social events. No sign, decoration, nor any other object may be affixed to any wall, window, column, door, screen, window shade, ceiling, cabinet, or any other surface in the room or anywhere else in the building unless expressly approved by the Library Director. No candles or other incendiary materials may be used. No electrical appliances except coffee pots may be used in the meeting rooms and/or kitchen facilities. Food and/or beverages may not be taken from meeting rooms to other parts of the Library. No alcoholic beverages or illegal drugs are permitted on the Library grounds or in Library facilities; neither is smoking permitted. The user/borrower may not charge rentals or fees for use of the Library facilities. 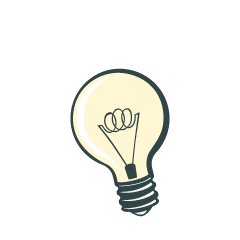 Charges such as registration or materials fees for a workshop or membership dues to an organization using the Library facilities are not considered rental fees. A free of $25.00 will be required upon arrival for groups using the meeting room anytime outside of regular library operation hours. The Library cannot accept credit or debit cards. Exemptions may be made at the discretion of the Library Director. Applications must submit a completed meeting room application form. Individuals making the application must be at least eighteen years of age and county residents. Exceptions to the residency requirements may be granted if the event provides a public benefit for Chesterfield County and/or its residents. The application form must be approved by the Branch Manager or Library Director. An organization or group can only make one reservation at a time. A date for the next meeting may be reserved only after the first meeting has been held. Meeting room reservations should be made one month in advance. Reservations for the Chesterfield location can be made by calling 843-623-7489 during regular Library hours. Reservations for the Matheson location can be made by calling 843-537-3571. Reservations for the Pageland location can be made by calling 843-672-6930. Library-related programs are exempt from limits on frequency of use and advance time for reservations. Other exemptions may be made at the discretion of the Library Director. Notice of cancellation should be made as soon as possible. Failure to provide notice of cancellation on two (2) occasions may result in loss of future meeting room use. Groups/organizations may not assign their reservations to others. Upon adequate notice, the Library reserves the right to withdraw permission for the use of any meeting room. At the discretion of the Library, a meeting room reservation may be canceled due to unanticipated building or weather conditions. Permission to use library meeting rooms may be denied to any individual, group, or organization that fails to comply with meeting room policy and that damages the room, carpet, equipment, furniture, or causes a disturbance.